Arnold Turling is a very angry and unhappy man — vindicated but at what cost. Three years ago, he advised the All Party Parliamentary Rescue Group that cheap flammable insulation filler inside the new waterproof cladding and lack of a sprinkler system made buildings like Grenfell Tower a disaster waiting to happen. Mr. Turling is a Chartered Surveyor as well as a fire expert and member of the Association of Specialist Fire Protection. He adds the building would not have burned down in its original concrete form. The reason is straight forward: The gap between the cladding and concrete serves as a chimney which becomes more efficient as the insulation catches fire. For this reason that particular type of plastic core called PE is banned in the U.S., “because of the fire and smoke spread,” for buildings higher than 40 feet. So said a spokesman for the U.S. manufacturer Reynobond. The PE version he added is used for small commercial buildings and gas stations. In the UK, the fire resistant panels cost 24 pounds ($31) per square meter, the cheaper ones are two pounds ($2.56) less. The regulations allowing the latter were introduced in 1986 during the Margaret Thatcher era, when they relaxed the prior more strict code. 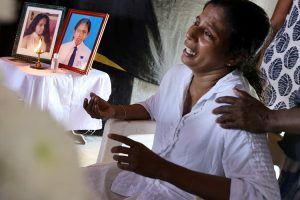 If the previous iron lady is still wreaking havoc from the grave, the new one did not endear herself to the bereaved by avoiding them when she visited the area — she met only with emergency services. Opposition leader Jeremy Corbyn, on the other hand, hugged and was hugged as he called for requisitioning the empty housing belonging to the rich to accommodate the people who had lost everything in the fire. The borough of Kensington and Chelsea is enormously rich. Council estates, as public housing is called in London, occupy a fringe of it and offer affordable places to live in a city where real estate has experienced an astronomical rise. Theresa May has promised an independent public inquiry. Not much use now to the dead and their relatives though could help others in the future perhaps through a reversion to the tighter codes. The residents complained about the lack of fire safety for many years, including faulty wiring, to no avail. Is there a lesson in all this for our own deregulator-in-chief, or will he too become an eventual grim reaper? Prime Minister May has other problems more serious for her government as they threaten to cut short its existence. Her alliance with the Northern Ireland DUP is at risk. Gerry Adams the Catholic Sinn Fein leader has protested it violates the power sharing Good Friday agreement where London was to be the neutral arbiter. Thus most people assumed the deal with the DUP was informal. Now it seems someone is holding out for a formal alliance. Strong voices can be heard calling it a sordid deal that could destroy 20 years of work in Northern Ireland. Meanwhile, Gerry Adams says his party will refuse to take their seats in the new parliament if it goes through. Ms. May gives the impression of being busily ahead of a Rube Goldberg contraption tumbling down behind her. The question one is left with after the fire is simple if uncomfortable: What is a human life worth in the 21st century? And the answer now is apparent. It depends on where, how wealthy, and to whom you were born. Not much has changed in that regard. the common antecedent to this phenomenon is the enormous simultaneous lake content changes occurring worldwide continuously due to various water demands. When such changes dynamically hit points on the earth with significant frequency with surges of water moments and forces. The structures are subject to intense heat. 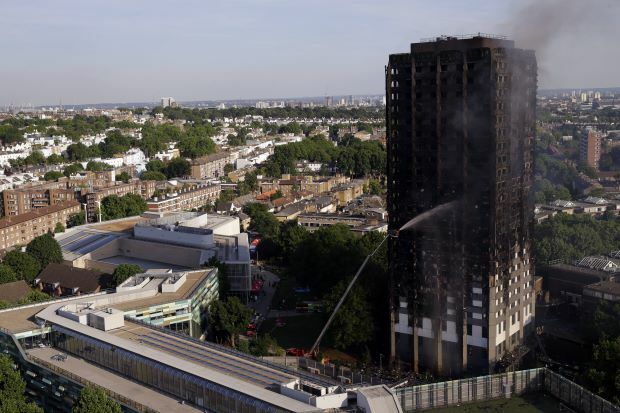 When the heat is prevented from being conducted except for the insulation in the outer cladding, the insulation catches fire and the tower blaze occurs revealing deep ignorance of the specialists. Because of this lacuna of knowledge regarding the consequences of dam content changes and the associated dynamics modern civilization is causing its own destruction. Other examples illustrating such catastrophes are earthquakes caused by dams resulting in Fukushima extinction level event wiping out fish and mammal life.